The Trust office will be open before and after Saturday's friendly against Wigan. Supporters will be able to renew or become members of the Trust, book coach travel, enter the prediction league and learn about upcoming events. 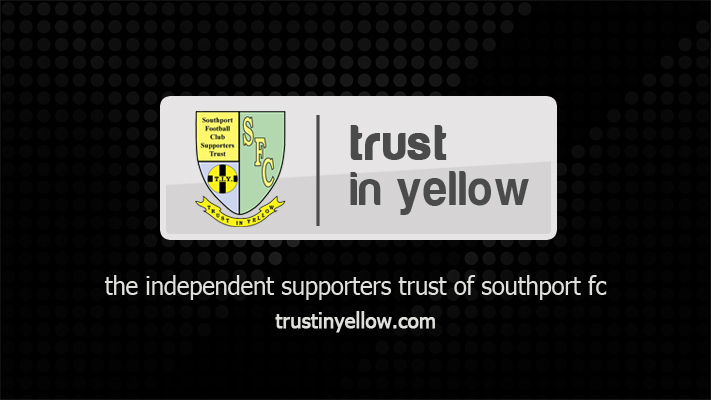 Bookings are now being taken for the Trust in Yellow coach to Southport’s first away match of the season at Macclesfield Town on Tuesday August 11. As part of a new pricing structure to be introduced by the Trust for the coming campaign, seats are available for the reduced fares of £10 Trust members, £12.50 non-members. 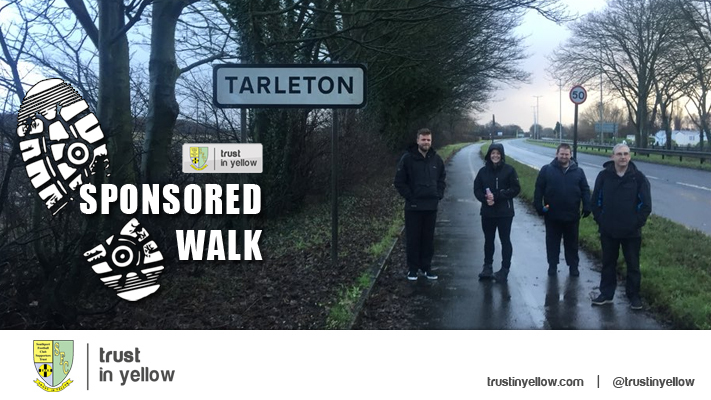 To book, call Colin Aindow on 07861416859. The Trust is in the process of finalising coach travel arrangements for the season and full details of the changes will be confirmed shortly. 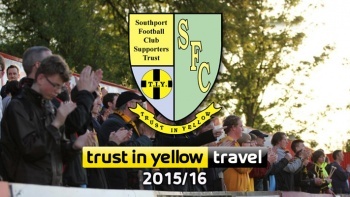 As part of the review, the Trust is looking into pick up points outside of Southport. With enquiries still being made, the departure time for Macclesfield will not be confirmed until next week but is expected to be around 5pm. 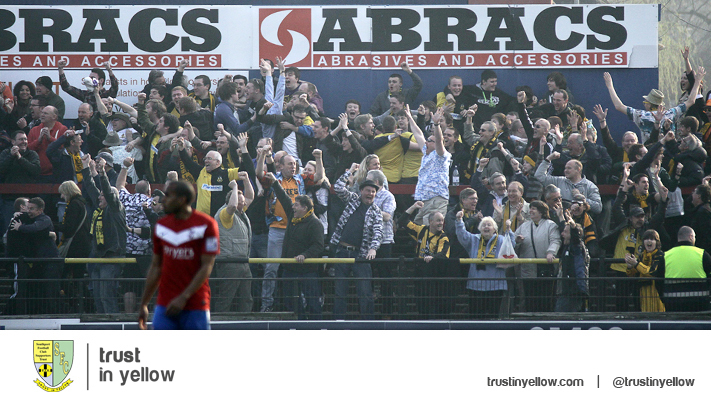 Details for the trip to Cheltenham Town on Saturday August 15 will also be announced next week. 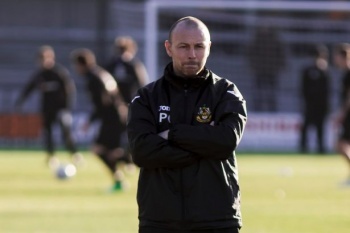 Trust in Yellow will hold a Meet the Manager session with Paul Carden following Southport’s final pre-season friendly against Bolton Wanderers XI on Saturday August 1. There is always a good attendance at manager events and once again all supporters are welcome to attend in the Grandstand Bar after the game. Questions will be taken from the floor or, if you are unable to attend or would just prefer to do so, questions can also be submitted in advance by e-mail to fans@trustinyellow.com or by tweeting @trustinyellow. The Meet the Manager session is part of the Trust’s new programme of events for the whole season which will be confirmed shortly. It begins with Churchtown Cricket Club’s Summer Bash on July 26 and also includes the 2005 championship reunion on August 2. 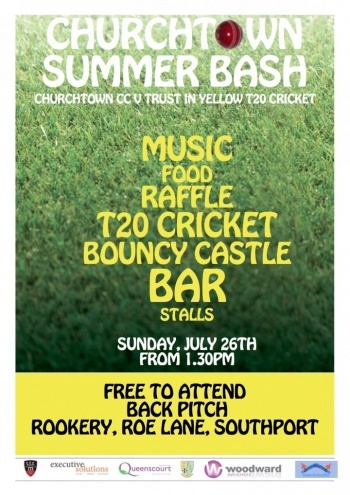 Churchtown Cricket Club will hold a Summer Bash at the Rookery, Roe Lane, on Sunday July 26. 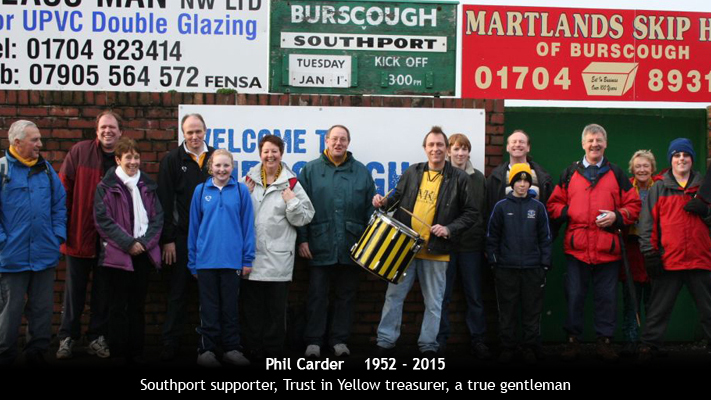 The main part of the event will be a cricket match between Churchtown and a Trust in Yellow XI in memory of Phil Carder, the long-serving Churchtown chairman and Trust treasurer, who passed away in January. Play will start at 1.30pm and the match will be 20 overs a side. It is designed to be a fun day, with the bar at the Rookery open and there will also be food, music and a bouncy castle. There are two pitches at the Rookery and the match will be played on the back pitch. The winning team will receive the Phil Carder Cup. 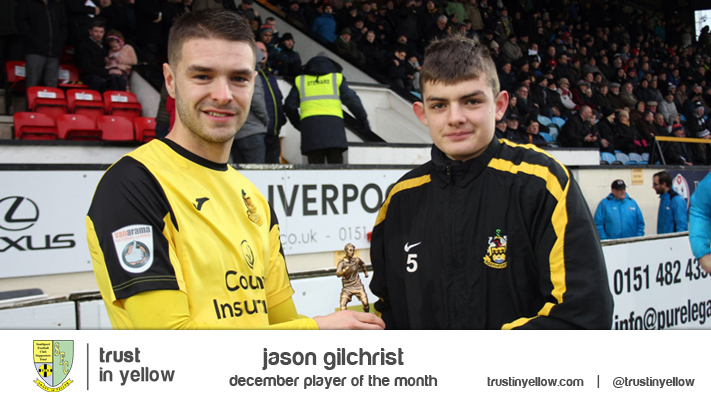 WHO IS YOUR PLAYER OF A MAGNIFICENT MONTH?